There is a set of important emerging digital trends I track as a futurist that are together converging very fast. These digital trends are all potentially disruptive, unless we plan ahead for the impact and change that is coming. More agility, smarter business processes and better productivity are the likely outcomes. Recently I gave a talk about my thinking that the Next Digital Disruption is big data and AI. I call it Big Data Intelligence. 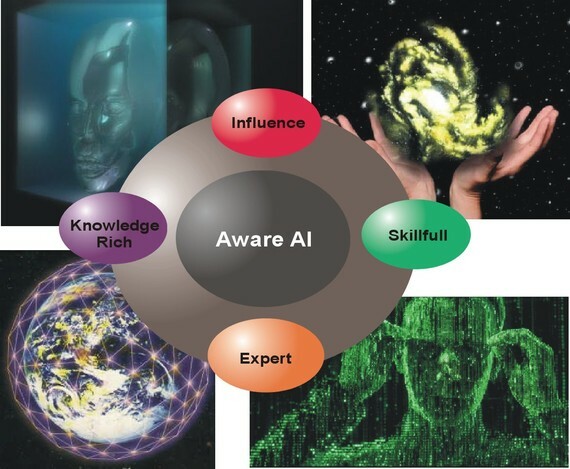 Artificial intelligence or AI, has become pervasive in business in every industry where decision making is being fundamentally transformed by Thinking Machines. The need for faster and smarter decisions and the management of big data that can make the difference is what is driving this trend. The convergence of big data with AI is inevitable as the automation of smarter decision-making is the next evolution of big data. If you consider just the evolution of data management it has been a rocky road. Computers helped but there is still worldwide allot of paper. We move atoms more then bits. The history of big data efforts has not always delivered productive outcomes. Then came data warehousing where we digitize all of the information in paper files and put that in discs or databases. Maybe we had web access to it maybe we didn't. Walk into most hospitals, government offices, doctor offices and businesses and there are still huge paper filing systems that hold most of the information that the organization depends on about customers, vendors, purchasing, products and well, just about everything. Forecast: There will be no big data without AI. Just collecting or having access to larger data sets will not produce a result. We cannot keep up with the Data Tsunami of 100 terabytes plus today made up of streaming video, text, pictures and voice. Also capturing the legacy data silos in paper and other media is impossible. We are unprepared for knowledge extraction and the demands for faster decision-making that our customers and markets, our planet, will require for high performance, competitive advantage and likely survival in the future will demand. Innovation will be accelerated by this convergence--faster drug discovery, safer self-driving cars, alternative energy and many new innovations yet to be invented may ensue. The use of machine learning, expert systems and analytics in combination with big data, is the natural evolution of what has been two different disciplines. They are converging. Even when we think about the Internet of Things, IoT, it will be another big data and AI convergence that will mine the meaning and drive the decision-making of how to benefit from IoT. Having a massive global IoT network that processes, distributes, collects big data without a digital brain that is smart enough to help/enable us humans to run this network, I think will be impossible. Even the network nodes, chips, sensors--essentially the software programs that will run IoT networks will via the cloud or at the chip or infrastructure level, will be AI enabled. This is already happening as M2M, machine to machine communications predates the emergence of IoT. Capturing data, to identify trends or patterns in customer or employee behavior, for example is useful. But extracting meaning, even the automation of meaning-extraction to advise us on more optimal ways to be productive, helpful or even solve problems--from disease, new business models, to end hunger maybe possible. AI will be used to extract meaning, determine better outcomes and enable faster decisions from massive big data sources,. This will shape the future of global business, prosperity and planetary development. In a world where there is big data everywhere, the extraction of meaning, the monetization of data for a purpose will be driven by AI. What might the future hold for Big Data Intelligence, the post-convergence of big data and AI? What seemingly impossible challenges could we tackle that we humans are struggling with understanding? Better jobs, more sustainable environment, smarter economy, more secure world, ending Cancer? We have to think like this to shape the future. Decision support and increasingly autonomous decision making, is becoming the norm. There are many issues regarding the ethics of automated AI still to be addressed, this is early in this field. Self learning systems that determine what big data to identify and use will very much require human management--for now but not entirely in the near future. We see AI taking hold in health care, law, banking, investment management, equity trading, advertising, security, defense and financial services where big data alone is not enough. We need BDI, Big Data Intelligence. You don't want to make the mistake of seeing these trends, such as the convergence of big data and AI as distinct events or silos. That would defeat the competitive advantages that the coming convergence would offer. We need to think differently as we used to say at Apple--convergence, co-evolution is smarter then one off or unrelated trends that represent one industry or market. The connectivity of trends is important to recognize. Trends are only disruptive if your unprepared to factor them into your business strategy. How trends impact your workforce, customers, market and services should be carefully considered. The refresh of your strategy should be a consistent tactic given the emergence of new trends such as this one. When it comes to big data and AI I think we are at the early stages, the emergence of what the potential for what the convergence value can be. But there will be no big data without AI as we step into the near future, one minute or one year from today.